With young children at home, it’s inevitable that you’ll have to hire a babysitter from time to time. For particularly busy families, a babysitter or nanny may spend more time at home than you do! The trouble is, you can’t always guarantee that the person you hire to watch after your children is as passionate about quality care as you are. Instead of leaving your family to chance, consider installing home security cameras in your home to keep an eye on your babysitter. Many nannies and babysitters look great on paper. They’re looking for a job, after all! But the way she acts with your children may come as a surprise, especially while you’re away from home. Obviously, the worst case scenario would be to discover that your babysitter is abusive, but there are many more reasons to keep an eye on your help. Hiring a young babysitter can provide her with an opportunity to make a little extra money to go out with friends, but she may make decisions that you don’t approve of. For example, she may try and sneak her boyfriend over after the kids have been put to bed. Older nannies can cause trouble too, even if their intentions are pure. They can often be indulgent, passing way more sweets to your children than they need. The bottom line is, a camera can help you identify these problems and bring them up with your caregiver. In extreme cases, they can even be used as evidence in a criminal case. So, there’s nothing wrong with your babysitter’s behavior. You’d even go so far as to say that she’s great with your children! Just because she’s great with kids doesn’t mean she can’t cause other problems. Stealing is easy when you’re left at home alone with just one or two children to take care of. Babysitters have been known to take advantage of hidden money, jewelry, and more while their employer is away from home. It’s nearly impossible to prove a theft, that is, unless you have a home security camera. Not only can it help prevent theft, it can also help you determine if your babysitter or nanny is using expensive appliances and equipment. Pools, hot tubs, gym equipment, and computers may be off-limits, but they can be nearly impossible for some caregivers to resist after the kids lay down for their nap. Your security cameras can make sure your babysitter or nanny is doing exactly as she should, but they can also help her too! Just as the babysitter can act differently as soon as you step foot outside the house, your kids can do the same. It can be hard to believe what the babysitter has to say about their nasty behavior, but a security camera can get the whole thing straightened out in a jiffy. A camera can catch bullying behavior among your children and lying. Not only will your hired help appreciate that you’ve taken the time to hear her side of the story, video proof can provide you with the perfect teaching opportunity. 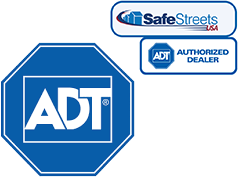 Worried about spending a lot of money on a home security system? There are many products, like Nest, that don’t require any contracts. Just buy the equipment and monitor it yourself! You’ll enjoy greater peace of mind knowing that you can check up on your babysitter and your children, even when you’re away from home.